The Scholarship Fund of the Independent Office Products and Furniture Dealers Association (IOPFDA) is pleased to announce that Ray Nierman is an award recipient of the 2018 scholarship program. Ray is the son of Michael and Janel Nierman and recently graduated from Harvard High School as Valedictorian with a 4.17 GPA. 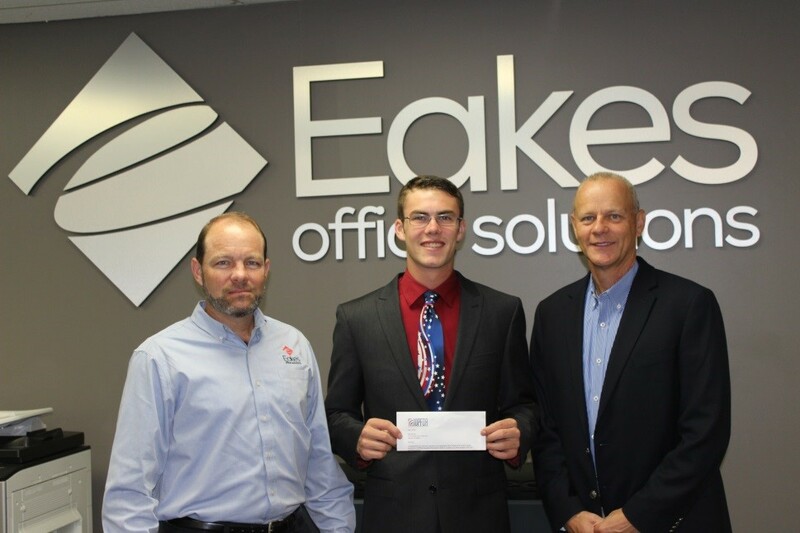 Michael Nierman is the Administrative Service Manager at Eakes Office Solutions. Ray was involved in Show Choir, Band, One Act, Musical, Choir, Student Council, Fellowship of Christian Athletes, Future Business Leaders of America, National Honors Society, Math Club, Science Olympiad, Quiz Bowl and Drug Free Youth. He also participated in school sponsored sports – Football, Basketball and Track and Field all four years. His community service includes Road Cleanup Day and City Clean Up Day. Ray plans to attend the university of Nebraska-Lincoln to pursue an undergraduate degree in Mathematics, Physics and Chemistry. Employees and immediate family members of all National Office Products Alliance (NOPA) and Office Furniture Dealers Alliance (OFDA) member companies are eligible to apply for annual scholarships. The fund is supported entirely through individual and member contributions.